A Naxal renegade elopes with the wife of the protagonist Mahendra Chamar who is supposedly dead for him after a police encounter. Other Naxals kill both. Years later the unmindful killing helps Mahendra to see through the stones, the reality which is opaque. The book goes deep inside the mythical lands where magic is a part of life. Where a nun leaves the church to raise the son of Maoist. Where revenge of a landlord leads to unthinkable scale of killings of innocents., and where a former armed guerilla transcends all barriers to become a 'god'.Meanwhile, within the Red army there is debate on links with the LTTE and the need for sophisticated arms. There is struggle for control over organisation in which guns play a vital role. 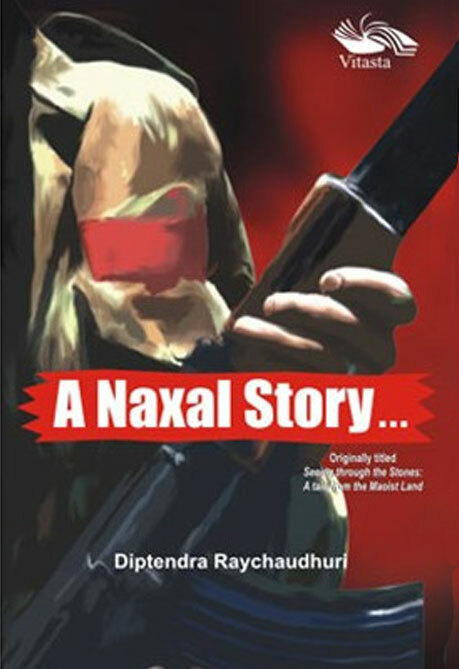 Filled with accounts of real-life happenings in some parts of Maoist-affected India, The Naxal Story is a novel of injustice and revenge, cheap blood and costly conspiracies, of truth that has to be sifted from loads of lies.